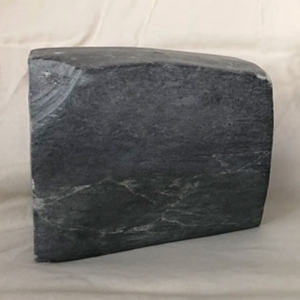 This new imported soapstone is a charcoal grey medium soft stone which polishes to a rich grey. The slight creamy white shades interspersed throughout and the differing tones of grey create a beautiful piece. Easy to work on, this stone polishes strikingly .